New Delhi, Jan 5 (IANS) Oscar winning music composer A.R. Rahman, who has got a Golden Globe nomination for his work in Danny Boyle's "127 Hours", is upbeat about the film's release in Britain. 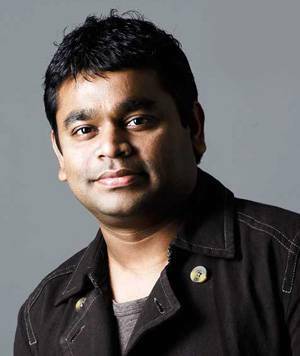 "I'm very excited about '127 Hours' releasing in the UK...and what makes it even more special is that we scored the music here..in London (sic)," Rahman posted on his Facebook page Wednesday. The soundtrack of "127 Hours" includes the popular song "If I Rise", a collaboration between Rahman and pop star Dido. In fact, Rahman was lauded for his work by American mountain climber Aron Ralston, on whose life the film is based. The Chennai-based composer is competing in the Original Score for a Motion Picture category at the Golden Globes with the likes of Alexandre Desplat ("The King's Speech"), Danny Elfman ("Alice In Wonderland"), Trent Reznor and Atticus Ross ("The Social Network") and Hans Zimmer ("Inception").